Riga Aeronautical Institute successfully finalized the winter season of the refresher courses. 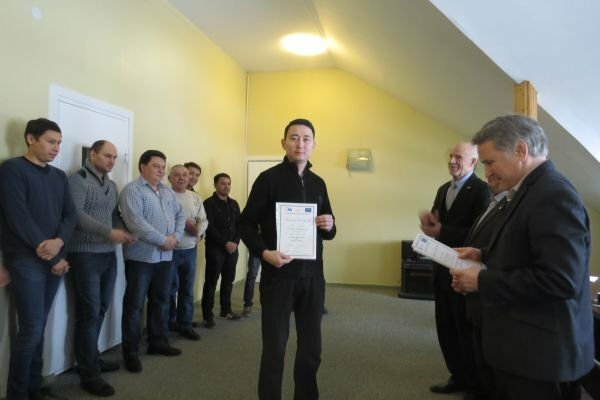 The aim of the courses was to provide the trainees with a new theoretical and practical knowledge, as well as to inform about the latest developments and trends in the appropriate fields of activity. All refresher courses include a linguistic component. On the 20th of April, RAI finalized the refresher course "Radio navigation - technologies, facilities and management. GNSS technologies" for ERTOS specialists. On behalf of the RAI administration and instructors we congratulate them and wish them a successful and professional career. We always look forward to see them again in RAI!